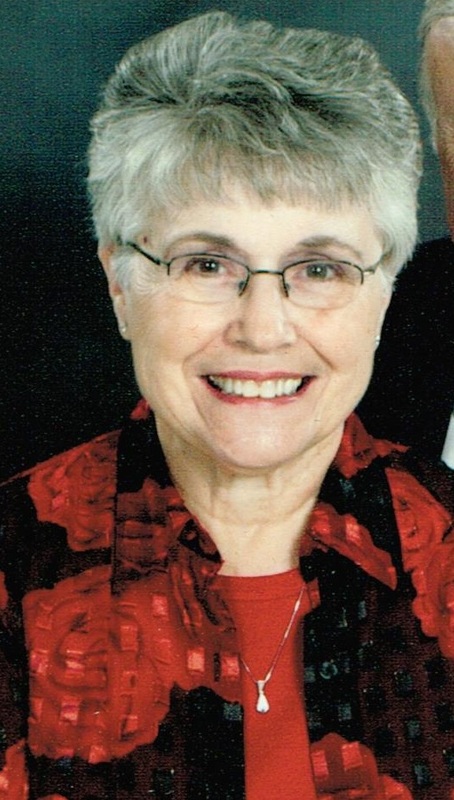 Carole L. Doetzel, 78, died Thursday October 29th, 2015 at Avera McKennan Hospital. She was the daughter of Arthur and Agnes (Cleary) Krell and was born in Sioux Falls, SD on May 16, 1937. She graduated from Cathedral High School in 1955 and from St. Elizabeth's School of Nursing in Lincoln, NE in 1958 where she earned her degree as a Registered Nurse. She also earned a Bachelor of Science degree in Nursing from South Dakota State University in 1991. Carole met Bill Doetzel while they were in Lincoln. They were married on November 15th, 1958 in Sioux Falls where they made their home and raised 5 children. She enjoyed a long career in nursing, working primarily at the Good Samaritan Center and as Director of Nursing at Children's Care Hospital and School. She and Bill spent many hours volunteering at the Washington Pavilion and serving as Eucharistic Ministers at Avera McKennan Hospital. She was also a member of St. Mary's Altar Society. Bill and Carole enjoyed travelling and spending time with family and friends. They loved going to their grandchildren's school and sporting events, playing cards and board games. She was preceded in death by Bill on August 17th, 2014 after 55 years of marriage. Blessed for having shared her life are her children: Mary Kay Garry (Bill), Scott Doetzel (Susie), Kathy Davis (Craig), Greg Doetzel (Melanie), and Dan Doetzel, all of Sioux Falls. She is also survived by 5 grandchildren: Nick Doetzel (Laura), Stuart Doetzel, Charlie Garry, Meg Garry, Molly Doetzel; and one great-granddaughter: Madison Doetzel. She was preceded in death by her parents, her brother Vincent Krell and her sister Patricia Osborn. She is survived by her sister Shirley Kiley, sister-in-law Maxine Krell and many nieces and nephews. Visitation will 5 PM, Sunday, November 1 at Barnett-Lewis Funeral Home with a Scripture Vigil at 7 PM. Mass of Christian Burial will be held on Monday, November 2 at 10:30 am at St. Mary Catholic Church in Sioux Falls. Memorials may be directed to either the Bishop Dudley Hospitality House or the St. Francis House in Sioux Falls, SD.